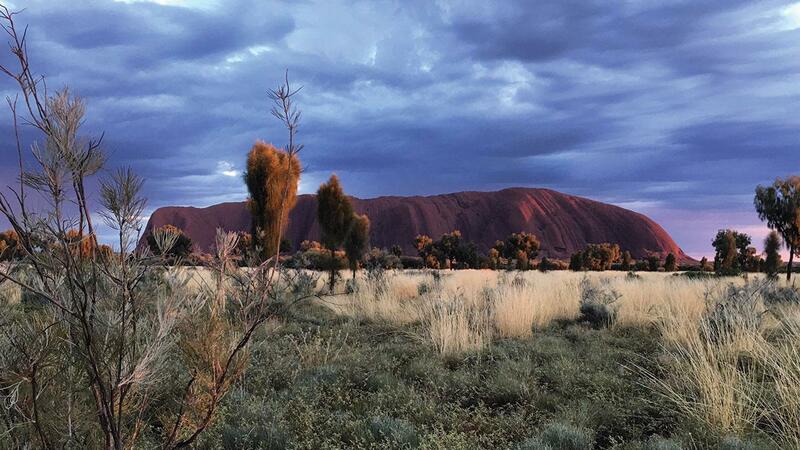 This week hundreds of Aboriginal delegates met in central Australia for the Uluru First Nations Summit. And tomorrow marks the 50th anniversary of the successful 1967 referendum which allowed Aboriginal and Torres Strait Islander peoples to be recognised in the census. The Summit, which concludes today, explored possible models of amendment to the Constitution for the recognition of Aboriginal and Torres Strait Islander peoples. DO YOU APPROVE the proposed law for the alteration of the Constitution entitled— 'An Act to alter the Constitution so as to omit certain words relating to the People of the Aboriginal Race in any State and so that Aboriginals are to be counted in reckoning the Population'? In reckoning the numbers of people of the Commonwealth, or of a State or other part of the Commonwealth, aboriginal natives shall not be counted. Some now believe that section 51xxvi is out of date and it is one of the topics being discussed in respect to recognition. There has been momentum for Constitutional recognition and reconciliation within Australia for decades. In 1988 the Barunga Statement was presented to Prime Minister Bob Hawke, which called for a treaty or compact to recognise the rights of Indigenous Australians. The Prime Minister agreed at the time, but it wasn’t delivered. Around the same time a discussion report was handed down considering altering the preamble of the Australian Constitution to recognise Indigenous Australians, amongst other things. One of the reasons why it was thought such a difficult task was that there would be difficulty in reaching agreement on the appropriate form of words with regards to Australia’s Indigenous peoples. As such, this proposal was not supported by the 1988 Constitutional Commission. Then in the Mabo case in 1992, the High Court recognised that Indigenous peoples had lived in Australia for thousands of years and enjoyed rights to their land according to their own laws and customs. ….And, as I say, the starting point might be to recognise that the problem starts with us non-Aboriginal Australians. It was our ignorance and our prejudice…. Only a few shorts weeks later the Native Title Act was given the Royal Assent and came into force in January 1994. We believe that the preamble should be amended. If it is to remain a statement of history, then it should pay appropriate regard and respect to Aboriginal history ... The preamble should also affirm our commitment to those core political values which define our nation. There was much jubilation among the delegates at the Constitutional Convention about changing the preamble. Phrases like ‘a new beginning’ and something to 'tell us who we are' or something to 'believe in', a document to 'reinvigorate the national narrative' and 'the things we hold dear' were used to describe what a new preamble should mean. I think that as we approach the Centenary of Federation there are a growing number of Australians-Liberal and Labor, republican and anti-republican alike-who would like to see embedded in the basic document of this country some recognition of the prior occupation of the landmass of Australia by the indigenous people. That is my view. As I go round Australia, I find a greater unanimity of support for that than I do on the issue of a republic. The result of this referendum question was a failure in all six States and a total yes vote of less than 40%. There are many analyses on why this referendum failed. Some say the Yes case wasn’t strong enough on the preamble. Others say that there was not enough community consultation on the words. That it was rushed. That perhaps if we want a new preamble there should be a series of plebiscites to find the right words. I announce that if I am re-elected, I will put to the Australian people within 18 months a referendum to formally recognise Indigenous Australians in our Constitution, their history as the first inhabitants of our country, their unique heritage of language and culture, and their special, though not separate, place within a reconciled indivisible nation. My goal is to see a new statement of reconciliation incorporated into the preamble of the Australian Constitution. If elected, I would commit immediately to working in consultation with Indigenous leaders and others on this task. We reflect in particular on the mistreatment of those who were Stolen Generations - this blemished chapter in our nation’s history. We apologise for the laws and policies of successive Parliaments and governments that have inflicted profound grief, suffering and loss on these our fellow Australians….. The government was committed to recognition and in 2012 Prime Minister Julia Gillard set up the Expert Panel on Constitutional Recognition of Indigenous Australians to advise the Government on how Aboriginal and Torres Strait Islanders might be recognised in the Constitution. The expert panel made five recommendations for change. However, no decisions was made at that time on these recommendations. In late 2015 Prime Minister Malcolm Turnbull, alongside with the Opposition leader Bill Shorten announced a Referendum Council. The role of this council is to advise the Prime Minister and Leader of the Opposition on progress and next steps towards a referendum to recognise Aboriginal and Torres Strait Islander peoples in the Australian Constitution. The meeting this week has been organised by the Referendum Council, and was attended by around 300 Aboriginal and Torres Strait Islanders in the aim of reaching a consensus on whether and how best to achieve change. The delegates at this meeting have been working with the Referendum Council for some time. Will we have a question soon? As you can see over the past 50 years many ideas for recognition have been discussed. There have been substantial steps along the way. Community attitude have changed. If the summit does come to a consensus on constitutional change it will then be up to Parliament to pass enabling legislation for a referendum and then the people of Australia have the final voice with their vote. Constitutional change in Australia is not easy. Australian voters are cautious about change. Most of the changes that have occurred are for simple machinery matter, such as changing the month that Senate terms begin, or restricting the retirement age of judges to 70. But Australians have been willing to accept change when they believe it to be sensible or right as the 1967 change shows. The last time the Constitution was altered was 40 years ago this week. The 21 May 1977 referendum asked the people to make four changes to the Constitution. Three of which the people agreed to. The eight questions asked at the three referendums since have all failed. However, recognition is not something that has been sprung upon the people. We’ve been debating and discussing this for 50 years. The fact that it is difficult to craft the question for a referendum possibly shows just how important this is, to so many people. There’s plenty of public goodwill and both major parties support recognition. But some Australians are putting forward arguments that as one united Australian people, no particular race should be recognised in the Constitution. One thing is for sure no one wants to stuff this up.